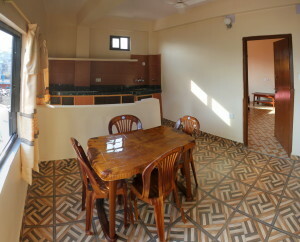 We offer a range of modern long-stay and apartments at North Star Guest House. Whether you want to extend your holiday in Nepal by a few days or if you want to settle in Pokhara for a few months we can provide lodging for you. We have several rooms that have been specially built for people who wish to stay for a few weeks, months or even up to a year. All our apartments come with a double bed, en-suite, small balcony, kitchenette, dining area, WiFi and battery backup lights. Our price for this apartment is USD$290 per month. We also require a security deposit of USD$100. For those who wish to have a refrigerator, cooker, gas and utensils provided this in included in the full price. If you are just looking for a comfortable modern en-suite room for a few weeks or months we also have several great options. All rooms come with a double bed, en-suite, Wi-Fi and battery backup lights. 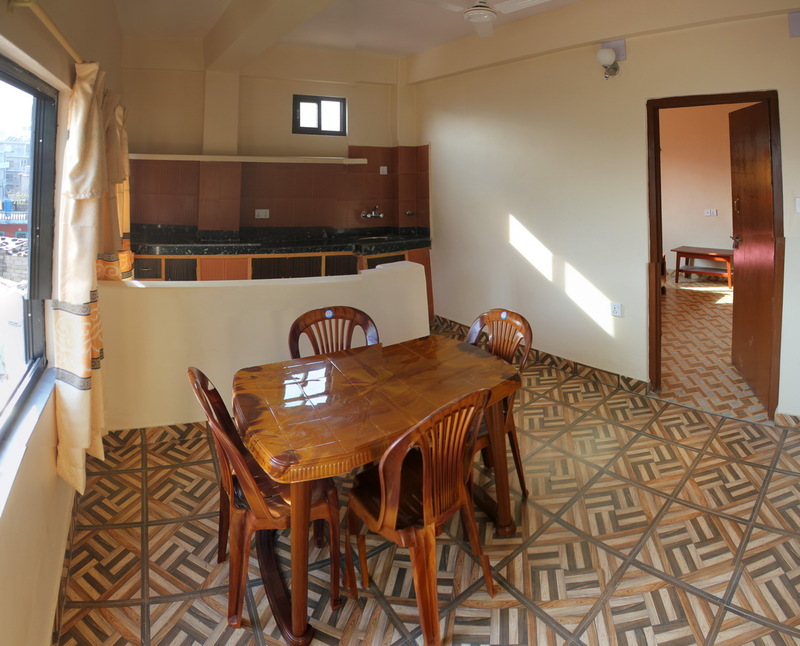 We also have a great rooftop deluxe room where you can have access to a shared kitchen area and two balconies for USD$220 per month but again book early as it’s often booked out! Whatever type of accommodation you are looking for feel free to contact us with your details and requirements. We’ll write back and let you know what’s currently available and our rates.